Home Hindu Rest in Peace: What does it mean? It’s become a common practice to say RIP (Rest in Peace) when someone passes away. Is is culturally accurate? We ought to understand the implication of words we say. For example “RIP” implies that the person is going to sleep/rest in their graves until the day of second coming of Jesus/ Al-Mahadi comes back and resurrects their body. The Last Judgment, Final Judgment, Day of Judgment, Judgment Day, or The Day of the Lord or in Islam Yawm al-Qiyamah or Yawm ad-Din is part of the eschatological world view of the Abrahamic religions. Everyone who has ever lived will be brought back to life in some form to face the final judgement along with those still living. The phrase “rest in peace,” often abbreviated “R.I.P.,” comes from the Latin blessing requiescat in pace (literally, “may he begin to rest in peace”). It is usually biblical thing to say. To say someone who has died is going to “Rest in Peace” fits much better with the biblical saying that “the dead know nothing” (Ecc 9:5) and that they “sleep in the dust of the earth” (Dan 12:2) and that it is Jesus the Christ who at his return (1 Cor. 15:23) will call the dead out of the sleep of non-existence and back to life – “Do not marvel at this; for an hour is coming, in which all who are in the tombs will hear His voice, and will come forth; those who did the good deeds to a resurrection of life, those who committed the evil deeds to a resurrection of judgment.” (John 5:28-29). 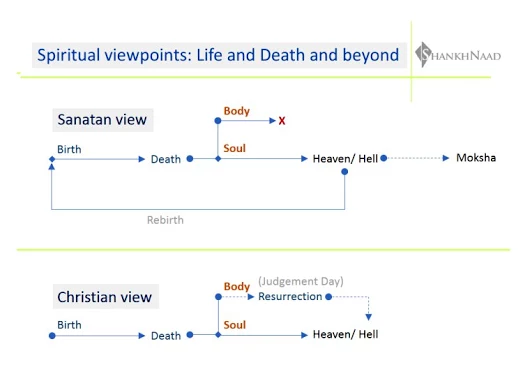 In summary, according to the Christian view, a dead person’s body awaits resurrection while their soul enters heaven or hell and stays there forever. Resurrected beings (bodies once again with their souls) face the final judgement and then enter heaven or hell as whole; but that shall not happen until the end of the world – the Judgement day, the Rapture. That will be the day of Qiyamat and the faithful people will be resurrected by the command of Allah. In summary, Islamic views about resurrection are more or less the same as Christians. Body is central to the A-brahmic belief system, hence the burial- which is a form of preservation (of sorts) and belief that it’ll be alright once again. 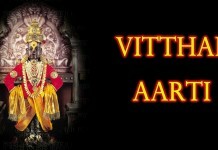 In Sanatan Dharma the body is just a vehicle, a temporary refuge, Aatma is indestructible. Atma basically means your eternal self, the spiritual essence of who you are. It is not the body you inhabit; nor is it not the sum total of your material possessions. It is the spiritual you. People often confuse ‘Soul’ – the Western Judeo-Christian concept with ‘Aatma’. The former system tends to believe when a person dies their soul travels on to heaven or hell. In other words, paradise or eternal suffering are the end of the road. On the other hand the aatma carries on its journey with reincarnations, until the day its Karmic path and spiritual knowledge leads it to Moksha. An appropriate phrase, for a Hindu who has passed away, would be “may the departed aatma attain moksha” , “Om Shanti” (or something similar). 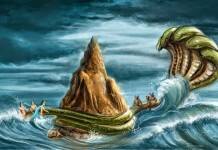 In summary, according to the Sanatan Dharmic view, a dead person’s body is destroyed while their aatma (not the same as concept of soul) enters heaven or hell temporarily and then takes rebirth and this cycle continues until the aatma attains moksha (become one with Bhagwan, above and beyond the heaven or hell ).